On another thread on the message board there was a discussion recently of when folks take their Christmas decorations down. And in his post on that thread, board member Steve (aka RSteven) pointed out, and quite correctly, that the King, Elvis Presley, would leave his Christmas decorations up every year until his birthday on January 8th. So this got me to thinking what a great opportunity it would be to post one of my all-time favorite songs by the King, who would have celebrated his 84th birthday last week. 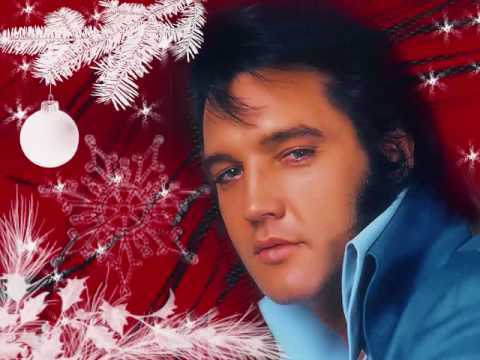 Elvis loved Christmas, loved God, loved his country, and unbeknownst to some people, was a very spiritual man. So I present on this thread a song that, while not a Christmas song per se, couldn't be any more in the spirit of Christmas and Christ: his powerful, reverent and magnificent rendition of "How Great Thou Art." It's from his final concert tour, and it's one of the last songs that Elvis sang while on this earth. This spectacular rendition of the song from his final concert in June of 1977 always chokes me up when Elvis cries out in the middle of the song, "Oh my God! How great thou art!" God bless Elvis. Elvis' album "How Great Though Art" was probably the second Elvis album I got back in trhe late 1960;s early 1970's. I would play this album and "Elvis Christmas Album" from 1967 consequtively on several days throughout the year. Elvis was a very spiritual man, and he really put a lot into his songs. Thanks for posting those three fantastic live concert performances from Elvis. Ah, I never get tired of his fantastic version of How Great Thou Art and this last live version is stupendous to say the least. I love it when he ad-libs the line "How great I think you are," as it shows how strongly he feels about his love for the Lord and he wants to express it in his own chosen words. You pick two of my other all time favorite live performances by Elvis as well. The Aloha concert is a must have for any collection and his magnificient performance of American Trilogy is always spine tingling as well. You Gave Me A Moutain is a powerhouse and heartfelt performance as well and also one of his all time best songs. Originally written by Marty Robbins for Frankie Laine as I am sure you know, Chip. Thanks for the shoutout as well about my timing of when I take down my Christmas tree. Yes indeed, once I learned that Elvis kept his tree and holiday decorations up until his birthday on January 8th, it was a no brainer for me to do the same. Anything to extend the holiday a tad is great to me. I am still basking in the glory of the John Klein CD release of A Christmas Sound Spectacular that you managed to get released for Christmas this year through Real Gone Music. I will never forgot Christmas in 2018 when this event happened or last year when the great Percy Faith Music Of Christmas finally got remastered and released in such a stellar way. It has been an absolutely awe inspiring two years thanks to your amazing efforts. Yes, Elvis did indeed put a lot into his songs; you never got cheated with a performance by the King. By the way, a small typo in your previous post: the Elvis' Christmas Album was from 1957, not 1967. Elvis only got better as the years went on. I never knew him personally, but I feel like I have through my friendship with Ethel Gabriel, the legendary RCA Records producer who was very close to him. Ethel first met Elvis when she accompanied RCA A&R VP Steve Sholes and RCA legal executive H. Coleman Tilly to Memphis for the November 21, 1955 signing of the contract that bought out Sam Phillips and established Elvis as an RCA artist. 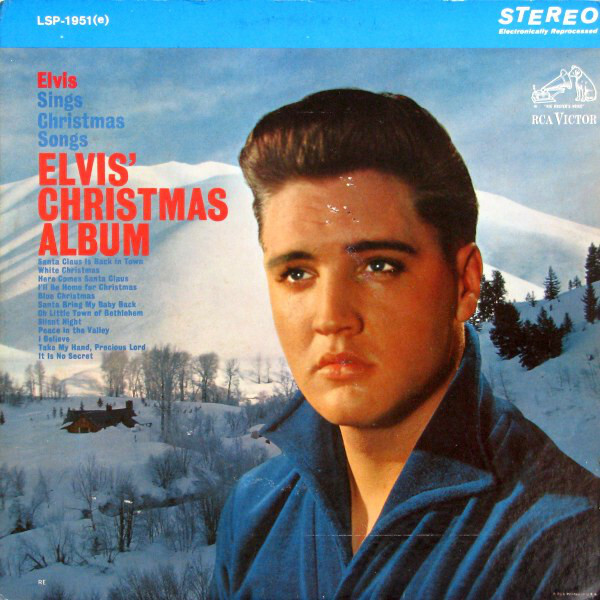 The album I am referring to, was the one with a pitrure of Elvis with a Winter scene in the background. I don't have access to it at the moment, but from what I am seeing on eBay, it was LSP-1951(e). I see a couple different years for it, 1951 and 1959 but I know a lof information on eBay is often incorrect. I have seen people listing some albums as Original Release, but the catalog number on a lot of listings is from reissues. I do have the Elvis Christmas Album with the color pictures, but unfortunately mine is a reissue that I bought a few years ago. The album you're referring to is the 1964 reissue. Yes, that is the album I was referring to. Thank you for posting an image. Also around the time I had the two albums, I also had Elvis Golden Records.Volume 1 from 1958. and Paradise Hawaiian Style. Around the time that Elvis passed, I picked up several of his albums as they were re-released I purchased several that were on the RCA-Camden label. And over the years, i acquired several more of his albums. Some are reissues, but some are original releases.